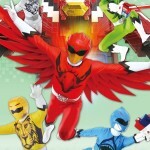 BigBadToyStore.com Update – Figuarts Zero Mighty Morphin Green Ranger Now In Stock, New Pre-Orders! It’s time for an update from our site sponsor BigBadToyStore.com! The biggest gift giving holiday of the year has come and gone, but that just means there’s a ton of new toys now in stock and going up for pre-order! And we’re going to help you save some time – check out the list below of new pre-orders and in stock items at BigBadToyStore.com!!! NOW IN STOCK / NEW ARRIVALS! NEW PRE-ORDERS! DON’T MISS OUT! Don’t miss out on your opportunity to land some of these hot items – especially the S.H. Figuarts Kamen Rider Gaim series of figures! They are always a hot item and sell out quick! In fact, some of those pre-orders were closed not too long ago! 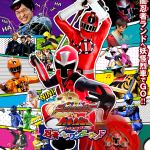 And don’t miss out on Shuriken Sentai Ninninger! 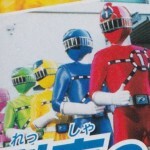 It could become like Zyuden Sentai Kyoryuger, where some of the mechs are overpriced on the aftermarket now! Click “Read More” to see the whole newsletter! Don’t forget to use the Pile of Loot system to save money on your shipping! 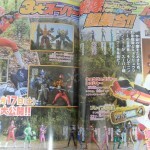 ToQger Scans Reveal ToQ 1 Dark & Hyper ToQ 6! ToQ 1 Dark! A dark form obtained by Right! 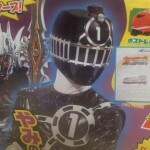 This sparkling black suit appears to be made of a more vinyl like material as opposed to the lycra of the standard ToQger suits. 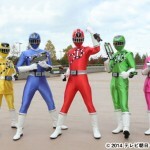 Hyper ToQ 6! It looks like Akira will finally have his turn at the team power up! Though the circumstances of how and why are yet to be revealed. We’ll update you as more information related to these scans becomes available!